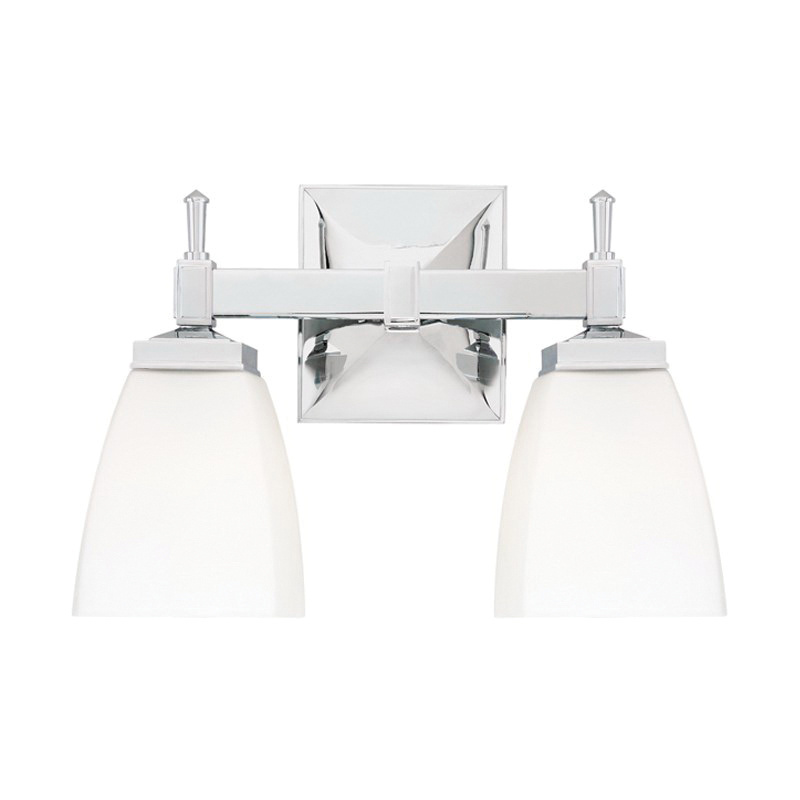 Hudson Valley Lighting Kent Collection Bath bracket light in polished-chrome finish, has steel construction for classic appearance. The opal matte glass shades with two 100-Watt incandescent lamp provides modern glimmer look. It has a fixture power rating of 200-Watts and voltage rating of 120-Volts AC. This timeless elegance light measures 12-Inch x 9-Inch. The bracket light is UL listed.